I know Valentine’s Day is still two weeks away, but I’m already dressing for it. #sorrynotsorry While the weather in Kentucky is often unpredictable, it has snowed and/or been super cold on Valentine’s Day the past few years. 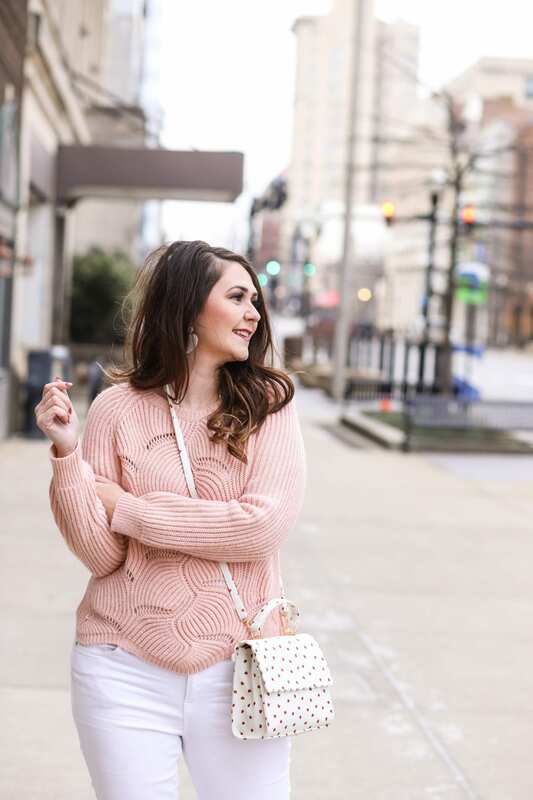 This sweet blush scallop-hem sweater is the perfect cold-weather look for a casual Valentine’s Day. I’ve worn this sweater multiple times, always styled different. 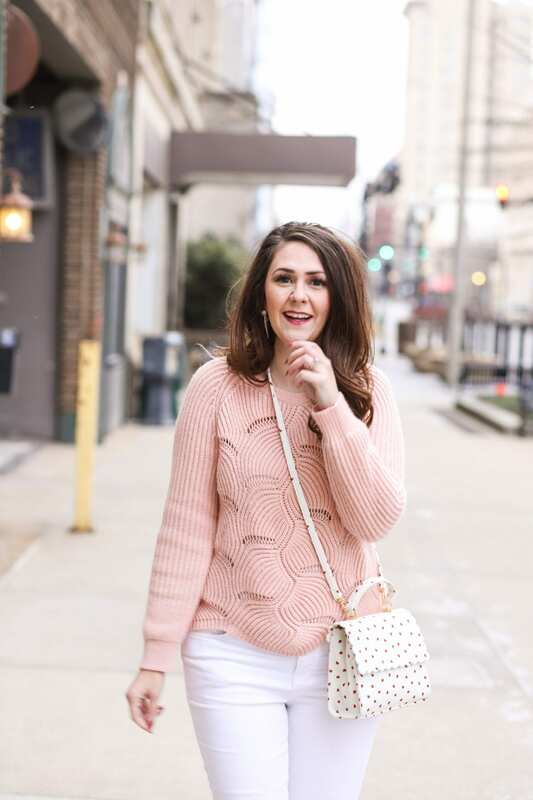 Not only is this sweater versatile, but the sweet scalloped hem detail really kick things up a notch outfit-wise. Plus, it has an eye-catching metallic thread woven through it. It will keep you warm, while making you look pulled-together and chic. I got a large it in, so it’s slightly over-sized. It’s selling out quickly because it’s on clearance for $13.99. 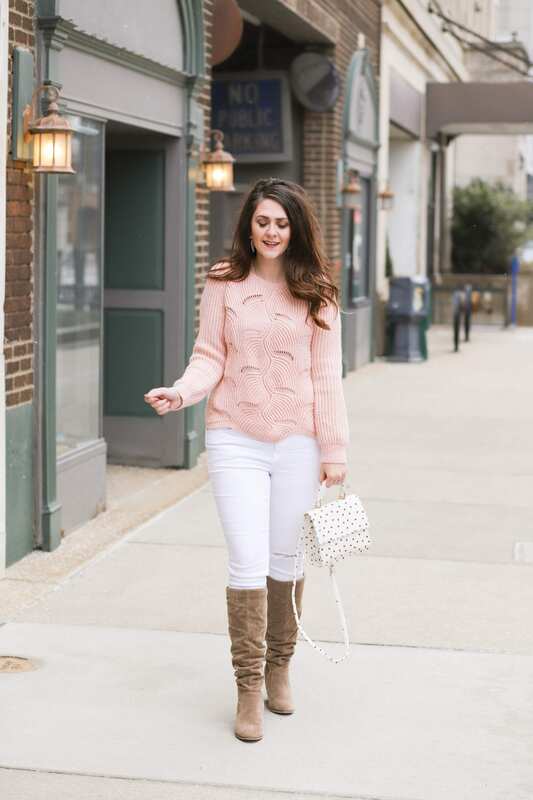 I love putting pastels and white jeans together this time of year. 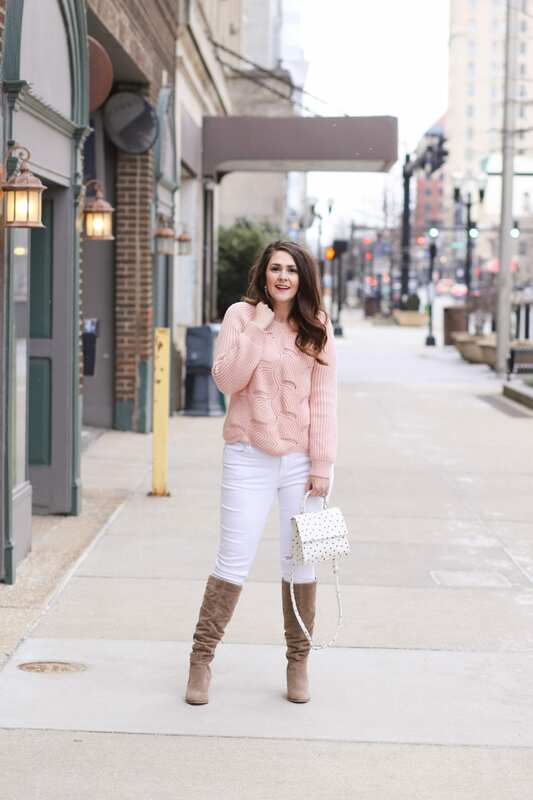 Has anyone else broken out their white jeans yet? I wear mine all year round, but if yours are shoved in the back of your closet, now’s the time to pull them out. 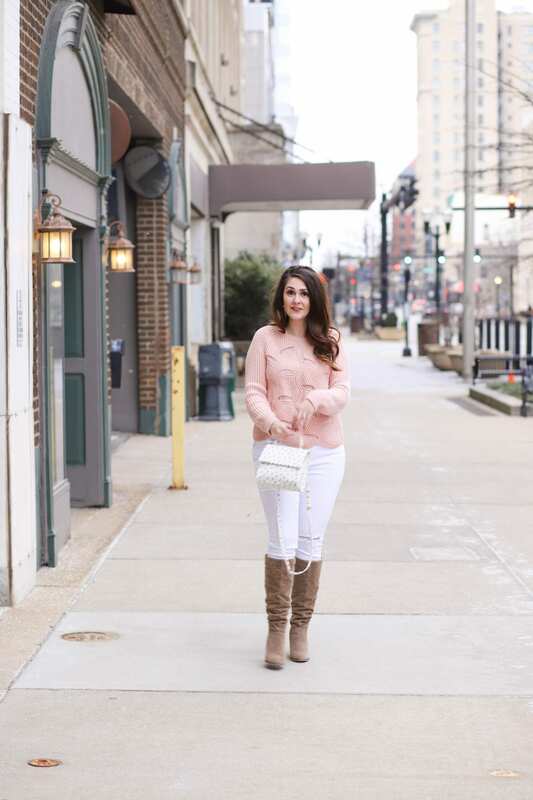 White jeans look so fresh, even when the temps are cold. 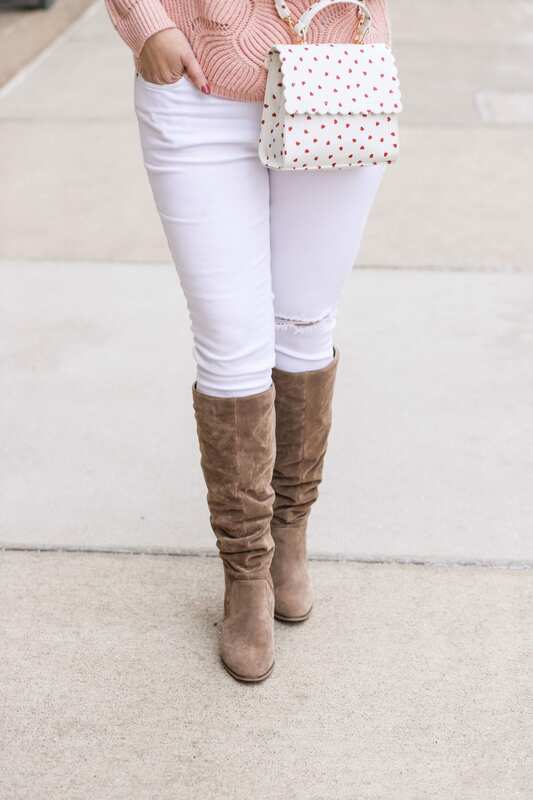 My white jeans are on sale for $25. Last year, these were hard to find in stock once it got warmer, so I suggest snagging a pair now. 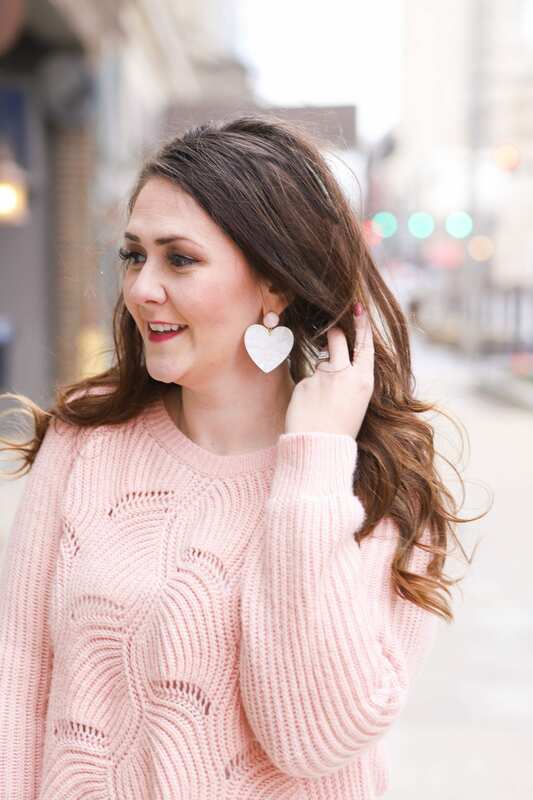 To complete your Valentine’s Day look, add this bag and these earrings to any outfit and you’re good to go! 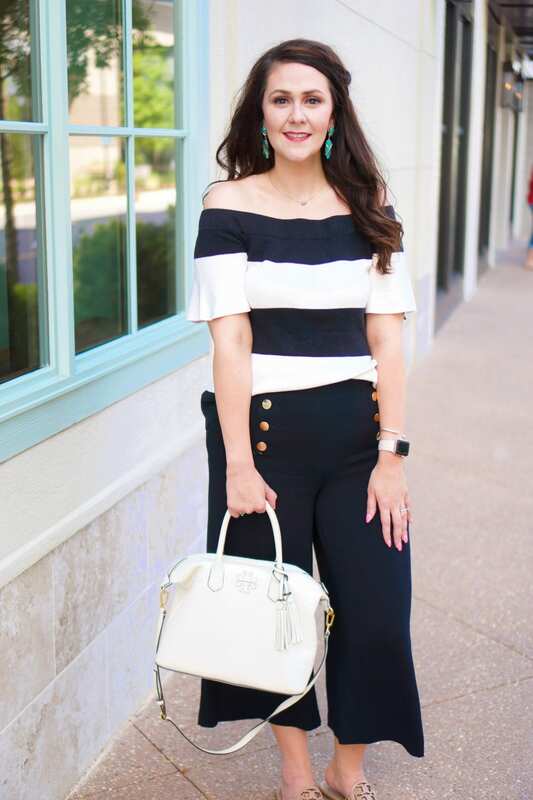 Do you get super dressed up for Valentine’s Day, or do you go more casual?? ?